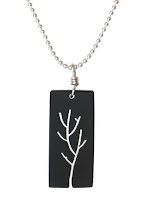 We're really excited to be working with Adea Chung, the designer behind our new recycled wood jewellery line. She works right here in Vancouver under the label Billy Would and guess what? She's the subject our debut designer interview. Look for more designer interviews over the coming weeks. 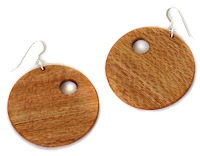 How did you come up with the idea of making jewellery using recycled wood? Was it difficult to turn the idea into actual pieces? I first started making jewellery out of purchased exotic hardwoods from local stores. The colours and textures were incredible and I loved picking out choice pieces. This method was short lived as I soon discovered none of the suppliers could guarantee how the trees were harvested. I tried working with FSC certified wood as well but it was lacking the beauty and strength for jewellery. Constantly striving to reduce my carbon footprint in all aspects of life, it took a few short emails to local woodworkers and shops to connect with some really great people. Because the amount of wood needed for jewellery is small, I'm able to score some really great pieces that may be too small to work with for a guitar maker but perfect for me. Through networking with all kinds of woodworkers and some creative "salvaging" (ie:old dressers and damaged floor boards) I keep each piece one of a kind and am always getting to work with new woods. Coming from a family full of artists including a father who was always creating incredible wood carvings, working with wood and tools in the shop is like home. How long have you been designing jewellery? Have you done other things along the way or have you followed a direct path to founding your own company? I've only been designing and creating jewellery for about two years but I feel like I've learned so much in that time. Over the years, I've got the chance to do all kinds of things that I'm sure in some way or another lead to working for myself. Working at a heli ski company, as a bank teller, at a massage school, and of course being a mom. I've always enjoyed art and creating in almost any form. I feel so lucky to be able to do something I love and get to see others enjoy it as much as I do. What inspires you to come up with new designs? I'm inspired by almost everything! Obviously nature and shapes are some of my favourites to express. Different pieces of wood with unique lines and colours I try to show off. Creating clean simple designs that allow the eye to appreciate the actual wood. My biggest inspiration would have to be my five year old daughter. I've "borrowed" a lot of her designs (stars and hearts) and even used her middle name (billy) She's definitively my biggest critic too though. What's the hardest part of your job? What's the best part of your job? The hardest part of my job is probably the business end of things and the marketing. It's also one of the most enjoyable too, learning the entire aspect of starting and running a business gives you a great sense of appreciation and respect for others doing the same thing. Participating in shows and fashion markets were never something that appealed to me in the past but since doing them I have grown to love the interaction. It's so much fun to watch people enjoy and wear something you created. Do you have any advice for designers interested in following a similar path? Pick something you enjoy and go for it! Don't be scared to ask for help and support, you want to still love it at the end of the day. Thanks Adea! You can check out Adea's stunning designs at Lavish & Lime.